5 & 6 speed Commodore gearboxes, XR6 & XR8 Falcon manual gearboxes, or anywhere the manufacturer recommends either motor oil or automatic transmission fluid. Remember that you would not put A.T.F. or gear oil in your motor, so why on earth would you put motor oil or A.T.F. in a gearbox! This product will give quieter running, with less drag in all of the above and smooth synchromesh changes in the gearbox. No noise and no gear crashing means no wear! Join the club. 50/90 is designed especially for high mileage constant mesh gearboxes, Roadranger, Spicer etc., cars using 90 grade gear oil and tractor final drives where an engine oil or TO4/50 is recommended. For smooth gearshifts cold, reduced temperature and long life in Manual Front 4WD and constant 4WD’s especially Land Cruisers. For gearboxes and diffs in older cars and for transmissions, transfer cases and diffs on older 4 wheel drives not fitted with a limited slip diff. May us Lim Slip 90 instead of 80w90 but never use 80w90 in places of Lim Slip 90. For limited slip diffs. Can also be used in place of 80w90 in gearbox, transfer case and front diff to standardise or to reduce inventory. For diffs in most trucks, Scania gearboxes, reduction hubs, trailer hubs, truck wheel bearings, reduction boxes on auger drives and excellent in rotary hoes and slasher gearboxes. Meets GL6 Spec for older Mack gearboxes and diffs and in any application with high shock loading. Limited Slip SAE 140 is for use in Ford F100 etc Series, in the rear diff on some Nissan Patrols and in V8 or competition Commodores and Falcons. 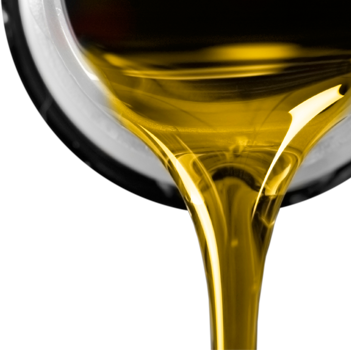 This new oil will give smooth operation, quiet running in gearbox and transmissions and may be used in place of Cat TO4/50 and Allison C4 with Big reductions in temperature and fuel consumption. 75w90 was developed to give smooth gear-shifts cold while maintaining good anti wear properties hot, in all front and 4 wheel drives etc. and especially in older Ford XR6/8 & Commodore manual transmissions as well as in light trucks, large trucks and tractors with constant-mesh gear boxes. This is a highly developed full synthetic, extreme duty, gear/diff lubricant, suitable where ever a 75w or 140w is required in bikes, cars, trucks, tractors, dozers, graders, scrapers, etc. with or without Lim Slip Diffs.